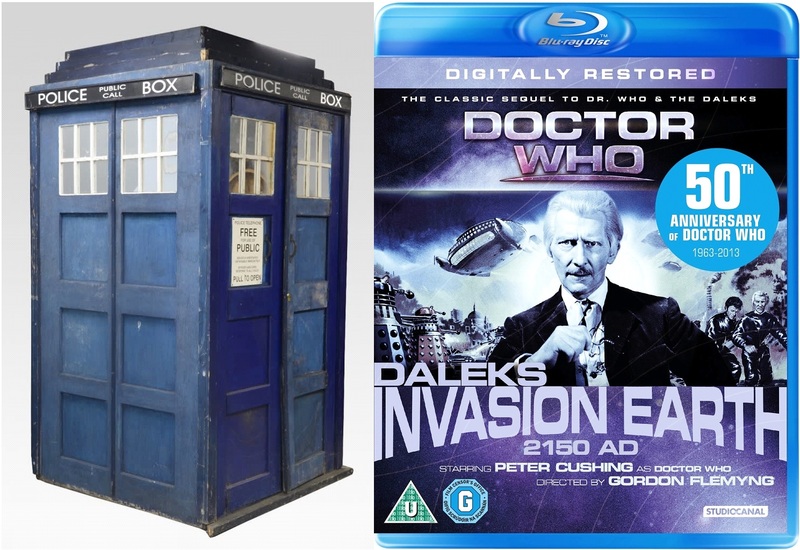 Here’s something decidedly strange: an auction house has put Peter Cushing’s TARDIS from the 1966 film, Daleks – Invasion Earth: 2150 A.D for sale… except it’s not. Tardis originally constructed in 1965 at Shepperton Studios as a premiere model for the films for the cast to emerge from onto stage. Inside it has a release plaque stating that it was removed from Shepperton in 1965 and many years later re-built by the BBC prop department for use at Children in Need 2009 at the Leicester Space Centre. There is a video of the Tardis online of it entering the building for Children in Need. It has also been signed on the inside by Jennie Linden. It was sold on eBay as part of a charity auction in 2011 and has been stored since. However, if you look at the photos of the prop, you’ll notice it’s all wrong. Like, the windows, the signs, the colour, the dimensions, the lack of St. John’s Ambulance sign. Honestly, it’s enough to make any Doctor Who fan attempt a Roboman-style jump into the Thames. Former Doctor Who Magazine editor and all-round nice guy, Clayton Hickman took another approach – he laughed when questioned about it on Twitter (although we’re sure he was stricken with a case of crippling despair in private). Hickman apparently reported the item to Ewbank’s, noting that it wasn’t the TARDIS seen in either Cushing film, so the description – which originally read “This Tardis was also used on the second film in 1966, Dr. Who Invasion of Earth 2150 AD” – has been amended. Okay, so what do we know about it? Let’s hope the auction house can at least verify the autograph by Jennie Linden, who played Barbara in Doctor Who and the Daleks (1965), although that does muddy the water slightly as she didn’t appear in its sequel. Still, it’s not out of the question. Could this actually be where the Cushing idea came from? A photo of the signature includes the annotation, “here in 1965! Back in 2009”, which could have mistakenly led the owner to believe it’s an original piece. That, of course, is pure speculation. Might Linden have autographed it while at the Leicester Space Centre, for Children in Need? Again, we’re just speculating here – we could be entirely wrong. Although it assures us that it was sold in 2011, it also looks similar to one from 2016, albeit it substantially restored since. 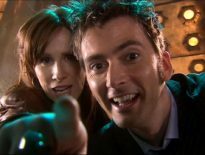 If so, it came from a stage show, as The Auction Room suggests, and was sold for £1,000; this was part of a sale of 67 items, from an unnamed Doctor Who fan. The collection went for almost £90,000 in total – notably including a Dalek from 1966, which very much looks like it comes from Daleks – Invasion Earth: 2150 A.D. The windows look different, and the “POLICE PUBLIC CALL BOX” sign has been repainted, but it looks very similar. Indeed, its listing on UK Trade Cars reads, “Roof signage was replaced.” Could this be the same one, given a spruce up? Should you be interested in finding out more, it’s Lot 1450, estimated to go for £8,000- £12,000, with a starting bid of £4,000. You can find it at Ewbanks. Bidding starts on 31st May 2018. 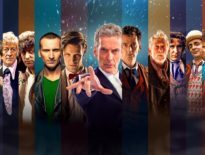 ← Could Doctor Who be Flagship Show in BBC/ITV/Channel 4 Streaming Service?